Last fall, Christopher Martinez, Co-Founder and President of EVIO Labs Florida, set out with a vision to bring clean and safe cannabis to the patients of Florida. EVIO Labs Florida is the first medical cannabis testing laboratory with ISO 17025 accreditation. Its parent company, EVIO, Inc. (OTCQB:EVIO) is a life sciences company focused on analyzing cannabis as a means for improving quality of life. The company provides analytical testing services, advisory services and performs product research in its accredited laboratory testing facilities. 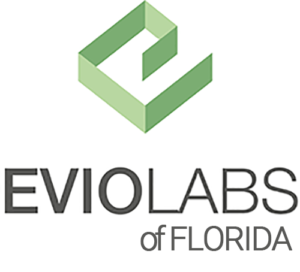 EVIO Labs Florida provides state-of-the-art testing services for licensed cannabis producers and distributors to help them stay compliant with state regulations. Their lab in Davie, FL is powered by Shimadzu with $1.3 million of the most advanced technologies available for testing cannabis. EVIO provides comprehensive cannabis testing for cannabinoid and terpene profiles, microbiological and pesticides contamination, residual solvent, heavy metals, mycotoxins, water activity and moisture content. “The Florida DOH, Office of Medical Marijuana Use mandates that medical cannabis must be tested by an independent 3rd party lab in order to validate these medications are safe for human consumption,” says Martinez. 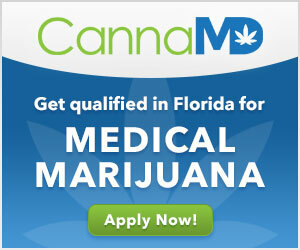 Currently, there are 13 licensed Medical Marijuana Treatment Centers (MMTC) across the state. Four MMTC’s have brick and mortar locations, 3 MMTC’s are dispensing via delivery only with five others authorized to cultivate. Each MMTC can open as many as 25 dispensaries per license. When processing marijuana, a medical marijuana treatment center must test the processed marijuana using an independent 3rd party medical marijuana testing laboratory before it is dispensed. The medical marijuana treatment center must contract with a marijuana testing laboratory such as EVIO Labs, to perform audits on the medical marijuana treatment center’s standard operating procedures, testing records, and samples and provide the results to the department to confirm that the marijuana or low-THC cannabis meets the requirements of this section and that the marijuana or low- THC cannabis is safe for human consumption. The lab utilizes two cannabis analyzer for potency, using High Performance Liquid Chromatography (HPLC) to quantitate cannabinoid profiles for 12 cannabinoids including THC, CBD, Delta-8 and Delta-9. It also tests for pesticides which are commonly used in cannabis cultivation. This is potentially dangerous and pose health risks— the greatest danger occurring with chronic exposure to pesticide residue which is toxic at high levels and harmful at lower doses. As a result, EVIO Labs will test products for insecticides, fungicides, plant growth regulators, and other compounds. Using LCMS technology (Liquid Chromatography Mass Spectrometry) with new ion focusing technology ensuring the maximum number of pesticides (over 600) are detected and positively identified. If a grower’s soil or water is contaminated with heavy metals, these toxic elements will be passed into the plant and on to the consumer. EVIO Labs testing protocols provide MMTC’s the opportunity to learn if their medicine is contaminated with toxic heavy metals. EVIO Labs uses Inductively Coupled Plasma Mass Spectrometry (ICP/MS) to screen samples for metals such as lead (Pb), arsenic (As), cadmium (Cd), and mercury (Hg). This extremely sensitive technique allows cultivators, patients and physicians to assure that the levels present in the product is at safe levels. 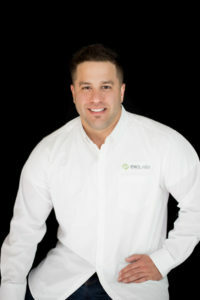 EVIO Labs uses an experienced and skilled team of chemists with over 20 years of experience. These chemists use validated methods to test cannabis products, according to Martinez. Every test report is checked by a lab director to ensure all results are valid and certified. In addition, in Florida, an applicant for licensure renewal must also include a record of contracts for services with a veteran business enterprise like EVIO Labs which is registered with the Florida Office of Supplier Diversity. Martinez says that EVIO has some of the most advanced technology in the industry which allows them to turn around results in a short amount of time—sometimes as fast as 24 hours. Martinez and his team opened the 6,000-sq.ft, $3 million cannabis laboratory in Davie in September and currently are building a new 3,000-sq.ft lab in Gainesville set to open by March 2018. 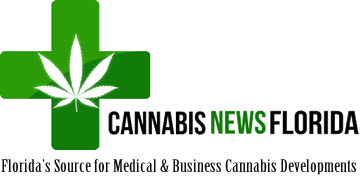 To further help physicians and patients, Martinez and a partner also created an app, MJ buddy which helps patients determine what kinds of medical marijuana are right for their medical condition. Physicians can also use the app as well. MJ Buddy takes data from thousands of patients and presents the information to doctors and research facilities. Physicians can take that data and adjust dosage, method of delivery, and strain recommendation to the patients to best suit the medical condition, age, weight, symptoms, and metabolism of each patient.